Those small divots in your cymbals have a larger impact on tone than you might think. Hand hammered, machine hammered, what’s the difference and why should it matter? You’ve read it before, in the ambiguous, adjective-filled world of cymbal descriptions: hand hammered. What do they mean? How does this affect my cymbals’ sound? We’ll explore this, and the less mentioned alternative – machine hammered – here. This is the beginner-to-intermediate standard, but can also be found in more professional offerings (from Zildjian A Customs to Sabian AA and AAX series). But what does this mean? When a cymbal is constructed it starts its life as a molten piece of metal, then is generally pressed, hammered, and lathed into its final form. Many large-scale companies began using the process of machine hammering in the mid ‘60s and into the ‘70s when rock and roll took over homes everywhere and the demand skyrocketed. Zildjian was one of the first adaptors of this manufacturing technique, introducing machine hammering in 1964. Some benefits can be seen from a more streamlined hammering technique, most notably, uniform hammer marks. 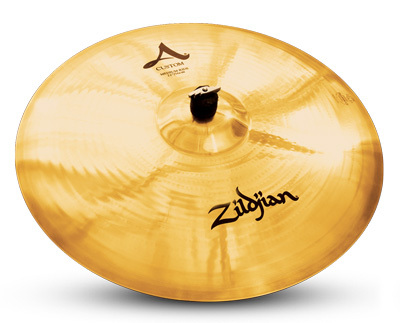 Typically, a machine-hammered cymbal is going to sound a little bit brighter, and have some higher frequency response. This is because, with more calculated hammer strokes, those high and mid (or bright) frequencies are allowed to travel through the cymbal without interruption. Drummers who will benefit from a machine-hammered cymbal are going to be looking for a budget-friendly cymbal, or alternatively, a higher-end cymbal that sounds very bright. We see this verbiage used mostly on mid- to high-end cymbals (Sabian HH or HHX, Meinl Byzance, or Instanbul Signature Series to name a few). When a cymbal comes out of the pressing and trimming process, it goes straight into the hands of a cymbal smith. They take the cymbal and physically hammer it into shape, and into the ideal tone. This is a painstaking process usually passed down through generations. Hand hammering is much less uniform than machine hammering both in distance between hammer strokes, as well as depth of the divot. What this does for cymbal tone is break up a lot of the higher frequency response you’ll hear in machine hammered cymbals. This causes the cymbal to sound darker and drier. In the past, these cymbals were reserved for jazzers and studio musicians, but we’ve seen them spread across every musical realm as more and more drummers crave the complex sound of these cymbals. 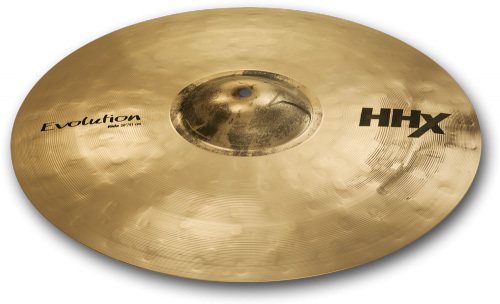 Some other very notable advantages of hand-hammered cymbals are found when recording. You can bring your overheads a little closer to the kit because the high-end frequencies won’t take over your mix, allowing for more dynamic recordings. You can also wail away on hand hammered cymbals without taking over your band in a live or practice setting. Ultimately there is no right or wrong choice to picking between something like a Zildjian A Custom Ride or a Sabian HHX Evolution. They both have their applications, and any studio drummer worth their salt probably has a collection of both machine- and hand-hammered cymbals. 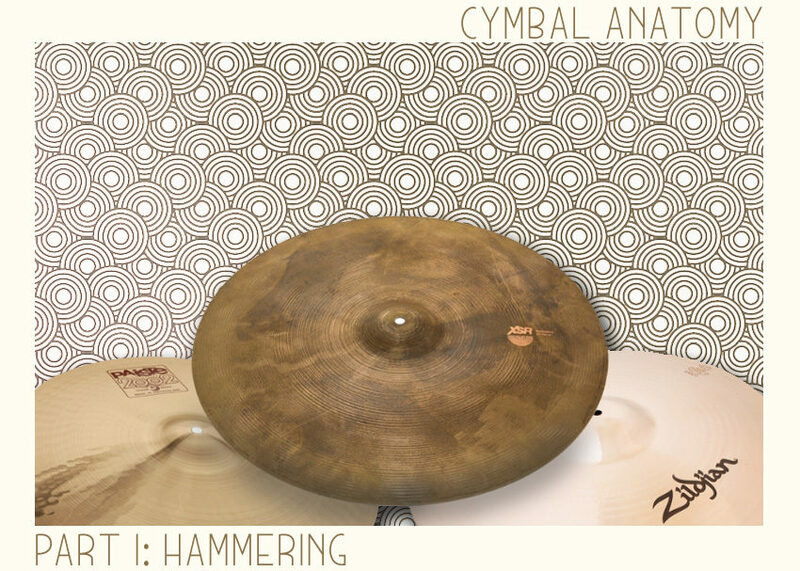 Just make sure you choose the right hammering technique for your playing style, as cymbals can be a big investment, and play a very large role in a drummers sound.